School is right around the corner. Although, we aren’t all looking forward to getting back to reality, there is always a way to make back to school a little more exciting. 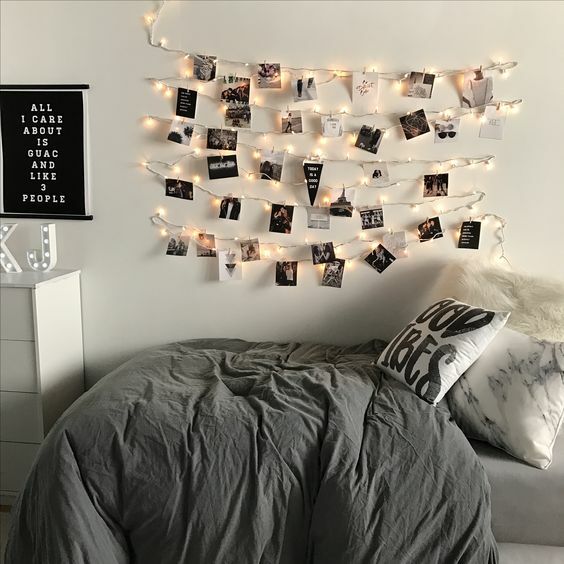 Redesigning, updating, and changing your high schooler or college student’s room is the perfect way to get them ready (and excited) for school. Giving them a revitalized space to have a place to focus, study, and relax is truly a gift. Going back to school is an exciting time! KF believes that a well planned space is something that truly creates a better lifestyle and prepares you for a successful year ahead. 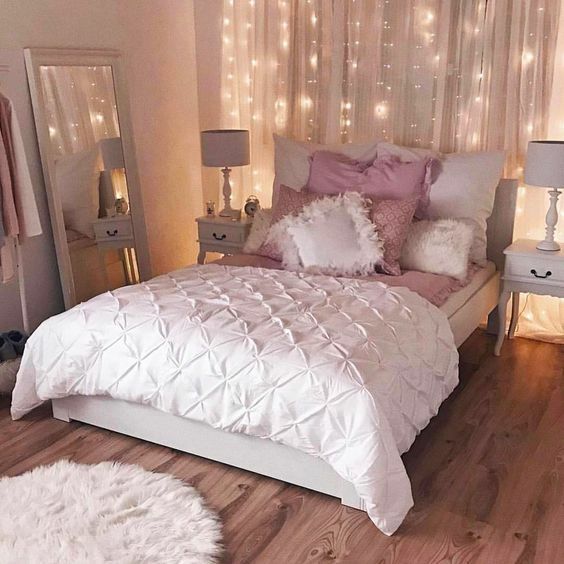 String lights are one of the best ways to give your room a warm, cozy feel. They create an ambiance and are readily available. One of our favorite things is using the fairy lights in an unconventional way for visual interest and subtle, ambient lighting. 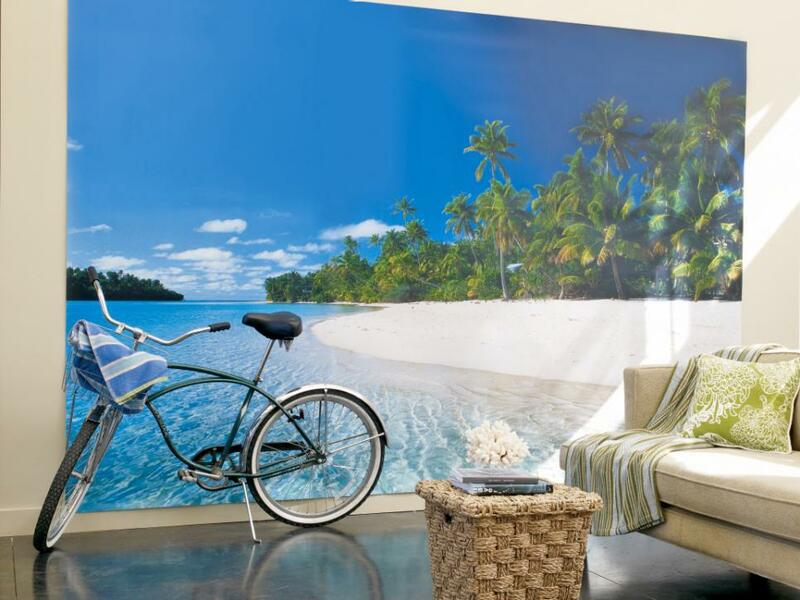 A statement wall like this installation from art.com is a wonderful way to create visual interest in your child’s space. See more Chic and Functional Dorm Room Decorating Ideas on HGTV.com. 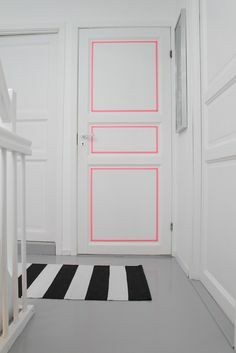 What better way to make a statement than to paint the back of the door. When shut, it is beautiful to see and makes a great accent to the room. 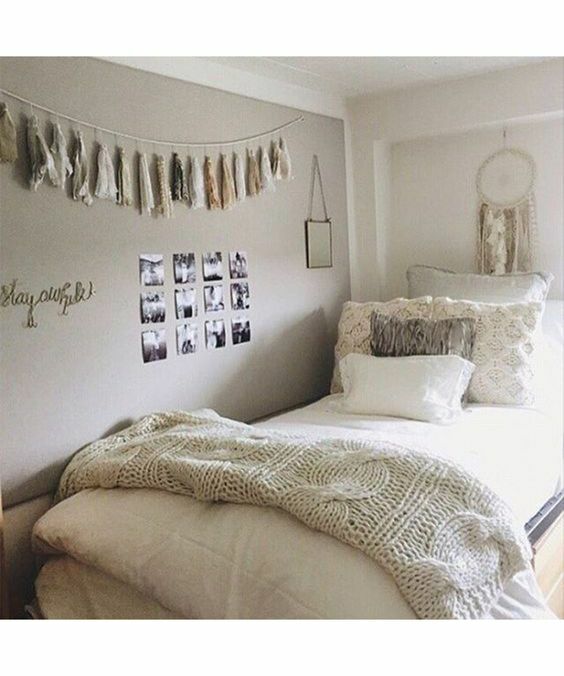 15 Dorm Items You Didn’t Know You Needed from Society 19. Use a rolling cart to hold important things. School supplies, books, mugs, or candles. 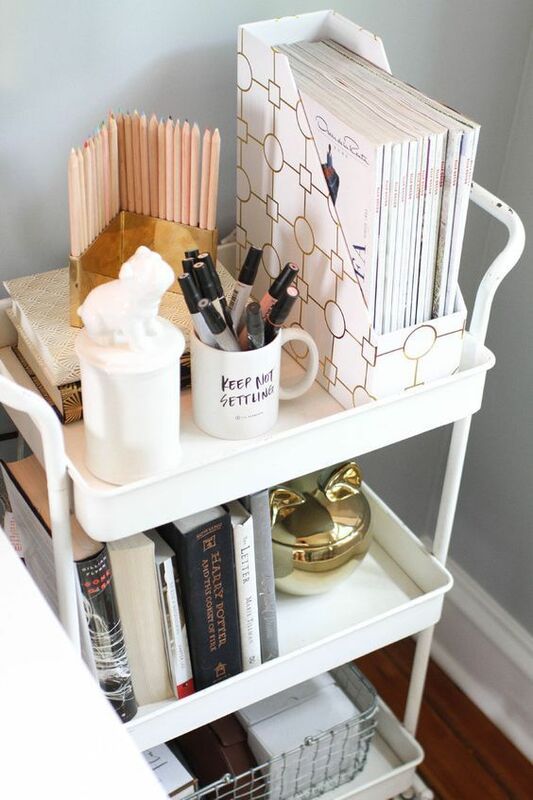 Whatever you need to store but don’t have the space to anywhere else, a cart is the perfect place to hold it. Sold in all sorts of stores from Target to The Container Store, they are readily available and super functional. 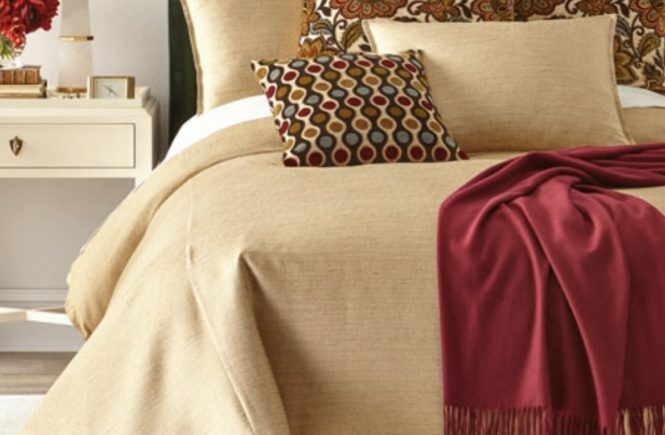 They can go from nightstand to organizer and are easily moved around to serve many purposes. On a tight budget or feeling creative? You can create your own with an older cart, paint it, add lights to it and decorate it to make it uniquely yours. A pouf is a great way to add an extra space to sit, a place to lay your computer or book, or a little extra side table. When space is limited, pieces need to have many uses to make the most of your space. Hanging bookcases frees up floor space and makes room for organizing books and trinkets. Baskets give extra space to store things out of sight and keep them easily accessible. 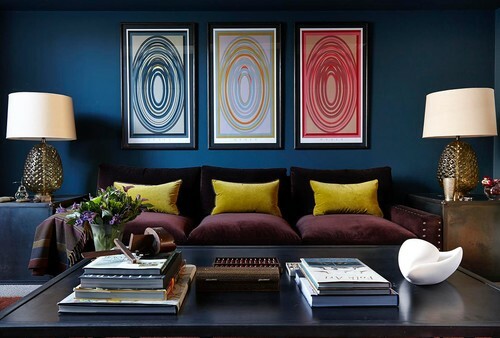 One of the keys to great design is function that also appeals to the senses and your aesthetic. A soft place to land at the end of the day is essential to getting a good night’s rest and to rejuvenate for tomorrow. 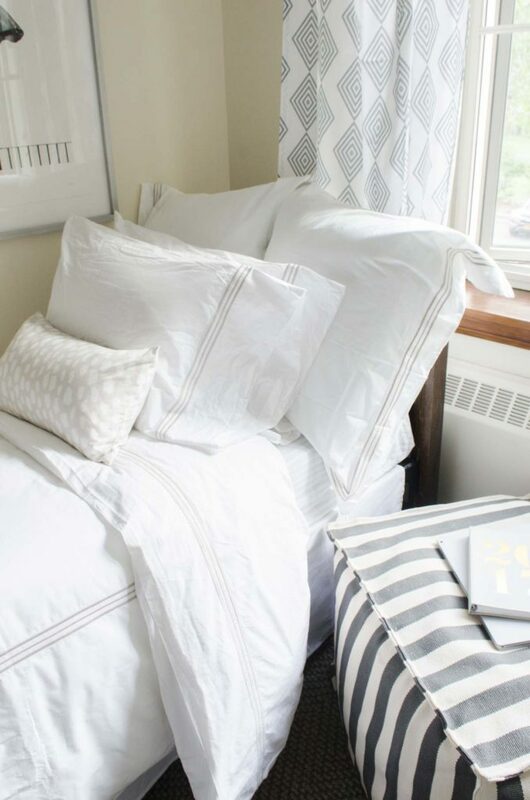 Lush Textures and softness make this bed a dreamy place to tuck into at the end of the day. A rug finishes off and grounds your room. It also adds style and texture. It gives your space softness and warmth, so it is an essential element to finish off the design of your room. 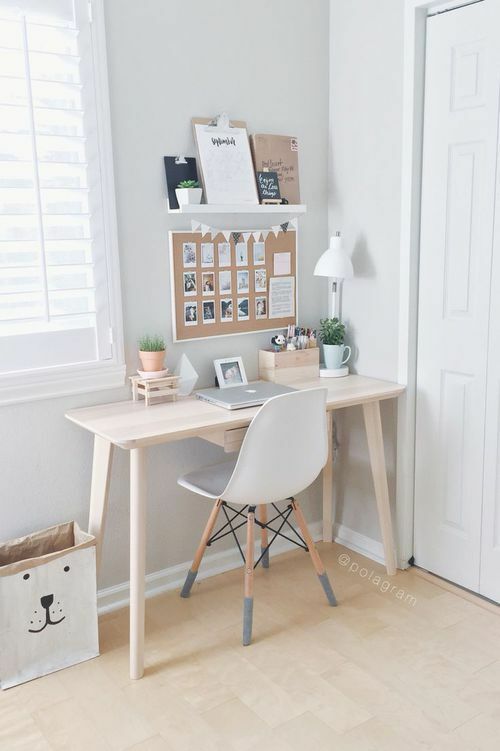 Devoting an area in your teen or young adult’s room for a desk is the perfect way to give them their own space where they are able to work, organize, and focus. Find a desk and chair that they love. Personalize the space with with bulletin boards, shelves, and decor that expresses their style. The key to focus and organization are highly organzied and functional spaces. 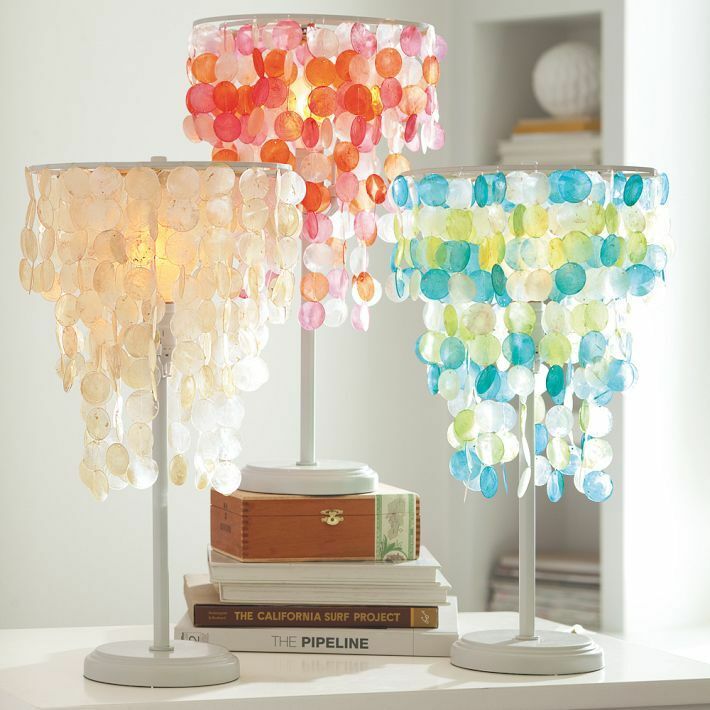 Task lighting is key to any workspace, and there are so many fun choices that look gorgeous too. 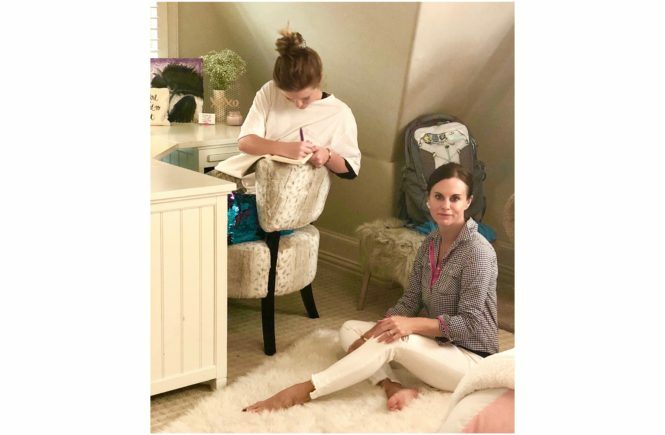 Shop our favorite pieces for your Tween, Teen, or College Bound kiddo here….